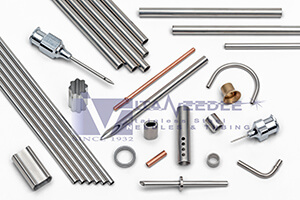 As a supplier of components to the aerospace, medical, industrial, instrumentation and food & beverage industries, Vita Needles Quality Management System is paramount in day to day operations. Founded in 1932, Vita Needle is now run by fifth generation ownership more than 85 years later. 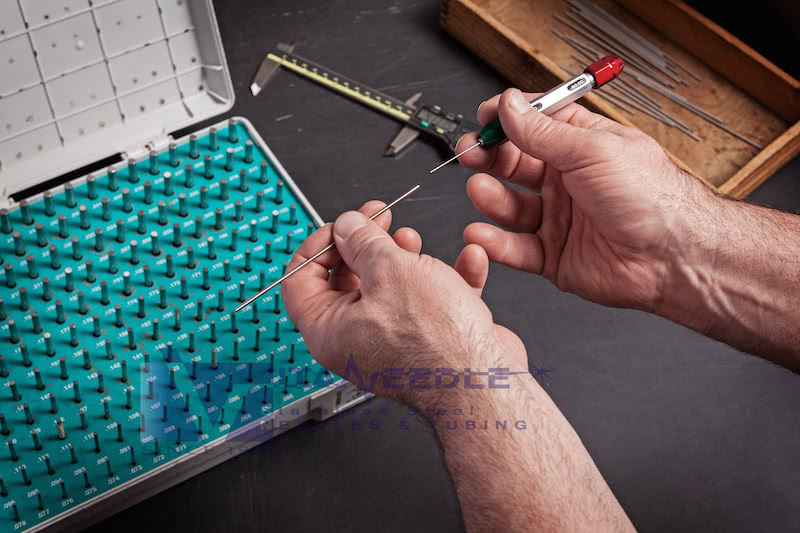 Vita Needle holds an FDA charter registration, in addition to achieving ISO 9001 and 13495 certification in 2011. Each year we perform both internal and external quality audits to ensure continuous improvement of our Quality Management System. Utilizing experienced craftsmanship alongside cutting edge technology, we are able to offer parts compliant to customer specifications including tight tolerances, ASTM, MIL T, and tensile specifications as well as DFARS and RoHS compliance, when specified. All manufacturing operations are documented, tested and validated to ensure consistency in processing. Our quality department utilizes a variety of measuring and inspecting tools, all carefully calibrated to NIST standards. All orders ship with a Certificate of Compliance included, stating material is to customer specifications. Additional certifications, including chemical and mechanical data, can be provided if requested with material. All material is lot controlled for complete material traceability.